Leeds Beckett University has launched a chatbot to help prospective students find the right course. It follows the publication of A-level results in England, Wales and Northern Ireland. 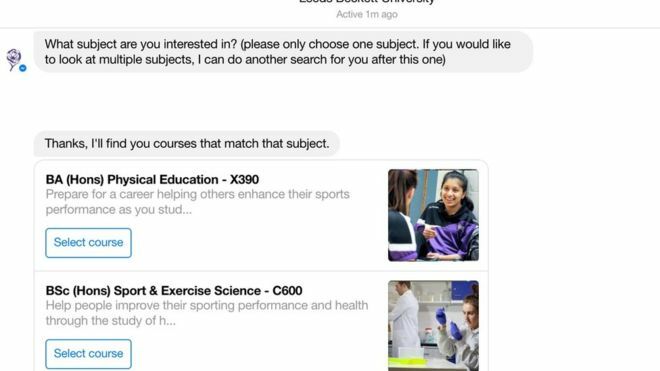 Using Facebook Messenger’s chatbot technology, students would be able to “assess their suitability” for different courses, the university said. But if they would prefer to speak to a human, “phone lines will continue to be open throughout the clearing process”.